Norton Gold Fields tenement area covers 1,092 km2 within the world-class Kalgoorlie gold province which includes the Paddington Operations. 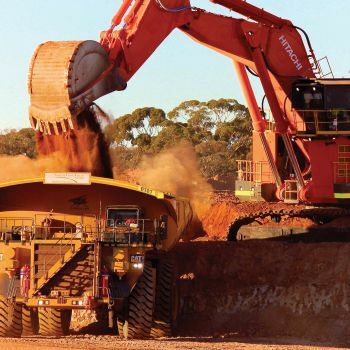 Following on from 2013 acquisitions of the Bullant and Lady Bountiful projects, in 2014 Norton acquired Bullabulling Gold Limited and the Mt Jewll Project increasing its mineral resource inventory substantially. Currently, the Paddington project includes Proven and Probable Ore Reserves of 18.53Mt @ 1.86g/t Au containing 1.11Moz of gold, with Measured, Indicated and Inferred Mineral Resources of 151.5Mt at 1.47g/t Au containing 7.14Moz of gold. This represents a substantial increase of 2.58Moz on the Mineral Resource estimate at 30 September 2014. Ore Reserve levels hav been continually replenished above 1Moz since 2008, despite production and depletion of 1,126,000oz since the Norton acquisition of Paddington in 2007. Mineral resource update and accompanying change or addition of ore reserve. Re-definition of open-cut and underground reporting areas at Enterprise. An Enterprise underground reserve was introduced in favour of a Stage 4 open pit cutback. Ore Reserve modification due to lower gold price at all projects. Change in reporting area allocation (for example some parts of the Racetrack, mineral resource were previously reported under the ‘Mt Pleasant’ umbrella). Resource depletion due to consideration of economic factors. Geology of the Kalgoorlie region consists of Archaean greenschist facies mafic to ultramafic volcanics and intrusives with later intermediate to felsic volcanics, volcaniclastics and sediments. Gold mineralisation occurs in a number of different settings which typically include the interaction of structural pathways with stratigraphically and rheologically reactive host rocks. Ore bearing alteration assemblages typically comprise ankerite-sericite-albite-silica-biotite-pyrite-pyrrhotite. 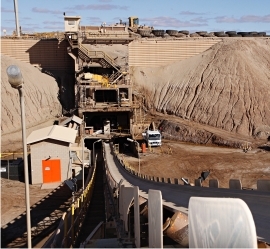 Open cut ore mining is in progress at the Enterprise Deposit (Ora Banda Project) where the bulk of mill feed ore is being sourced, supplemented by the small Wattlebird open cut mine, and by ore stockpiles from previously mined satellite open cut operations. Underground mining is in progress at the Homestead Underground Mine (Mount Pleasant Project), which includes the Black Flag West Vein, and at the Bullant Underground Mine (Carbine-Bullant Project). The Paddington Operation has a strong pipeline of potential open cut and underground projects which are being targeted by staged resource development programs. The project pipeline is capable of supporting a long-term Life of Mine (LoM) plan. For further information please see the company’s Quarterly Exploration Reports. The information in this report that relates to Mineral Resources is based on information compiled by Peter Ruzicka and Brad Daddow for Paddington, and Richard Sulway for Bullabulling. The information in this report that relates to Mineral Reserves is compiled by Guy Simpson and Elizabeth Jones. Exploration drilling results have been compiled by Peter Ruzicka. Peter Ruzicka, Guy Simpson and Elizabeth Jones are all members of the Australasian Institute of Mining and Metallurgy and full-time employees of Norton Gold Fields Limited. Brad Daddow is a member of the Australian Institute of Geoscientists and a former full-time employee of BM Geological Services PL, a consulting group to Norton Gold Fields Limited. Richard Sulway is a member of the Australasian Institute of Mining and Metallurgy, and a former full-time employee of Snowden, a consulting group to Norton Gold Fields Limited. Peter Ruzicka, Brad Daddow and Richard Sulway all have sufficient experience relevant to the styles of mineralisation and types of deposits which are covered in this report, and to the activity which they are undertaking to qualify as Competent Persons as defined in the 2012 edition of the ‘Australasian Code for Reporting of Exploration Results, Mineral Resources and Ore Reserves’. Guy Simpson, Elizabeth Jones, Peter Ruzicka, Brad Daddow and Richard Sulway all consent to the inclusion in this report of matters based on their information in the form and context in which it appears.